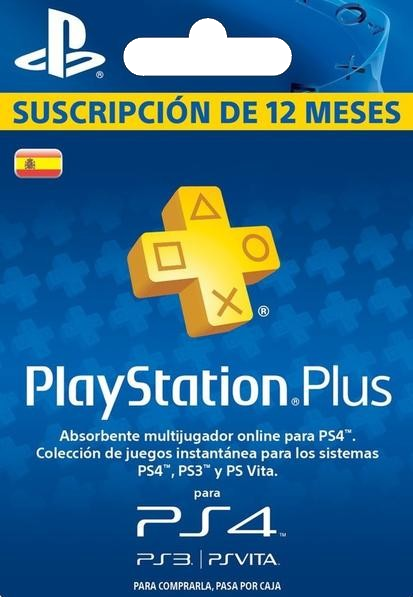 Buy PSN Playstation Plus Card ES 12 Month for Playstation Network on GGlitch.com | Fast, secure and easy! Please be careful as this code is only for PSN Spanish accounts. You must select country "Spain" in your account, or the code will not work. Playstation Plus is the ultimate membership in the Playstation Network! Gain the absolute maximum of interactivity and available contents with your Playstation 4 or PS3. Playstation Plus grants you special functions in PSN and lots of exclusive premium content, like countless games and bonus contents worth more than 200 Euro each year! With Playstation Plus, you get access to a huge amount of PSN games, minigames and PS One classics. Obtain special avatars and designs. Enjoy the advantage to play demos before the standard membership users. Benefit from cheaper prices in the Playstation Store. Test out trial versions of games and blu ray movies before buying. All this and much more is offered to you with a Playstation Plus membership!